Have some questions about your best Celeb? Google has made it possible for you to know all about your best celebrities by asking questions of them. You will get a direct answer about them. The app used in contacting celebs directly is called Cameos, and currently, it is available only to the iOS users. Android users will in no time get theirs in Android platform. The Cameos app is exclusive and in other to gain access to it, you have to be invited to the app. When you have access to the app, to use it, you answer questions of your choice on video before those videos appear on the card to the side of your search results. The App is really a beneficial and important app to getting answers to popular searched celebs questions and then getting answers in return. 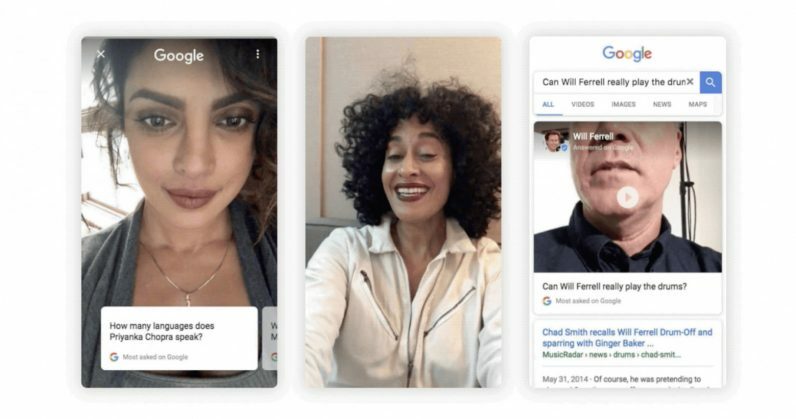 Celebrities most asked questions will be answered from the application, mainly questions from a search engine, which is the Google search engine we all know. Google made this easier than you expected, the fact is that this app works great! For example, basics questions like "How tall is UcheTechs?" "Where does UcheTechs Stay?" Now, UcheTechs has to respond to questions from Google fans,” which are usually a little more detailed and probing. If no answers, this provides a color to the basic and silly questions of Google searches. Many will hope t see this work out great when celebrities answers questions the Fans wil love to ask, like birth name, natural hair color, and other legal questions. One of the people who appear in the pictures on the App Store is basketball player Kevin Durant. Currently, you can find his answers to several questions when you search his name. Let's hope this works out the way it should. a lot. I hope to give one thing back and help others like you helped me.